Tags: Expat, Romance, Young love. 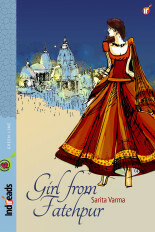 Alone and new to New York, Tanya’s chance encounter with Arjun turns out to be a blessing in disguise. He introduces her to new friends, rental condos and pink champagne, and generally spends way too much time with her. At least, that’s what his very suitable fiancée, Lily, believes. Regardless of her mother-in-law’s obvious preference for the new girl, Lily digs her claws in deep and she isn’t planning on letting go of the suave Arjun. With the wedding looming, Arjun is being pulled two ways; the flighty, fun-loving Tanya, or the sophisticated Lily? The story is simple and cute and the characters are wonderfully portrayed. 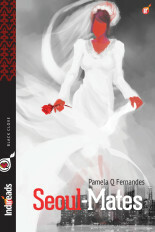 The author has described the feelings of the main characters as well as the supportive ones. I finished the book in one sitting and found it to be a perfect end to a hectic, stressful day. Highly recommended. 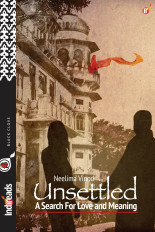 Like all Indireads books, this one also left me with a smile on my face. Akin to bubbly or champagne, this romance is really sparkling. It has a feel-good tang to it. Loved the way the lead characters have been portrayed, along with Karsh. the continuous build up and release of tension between Arjun and Tania is very well developed by the author.. entertaining read.. Pink Champagne lives up to its name. 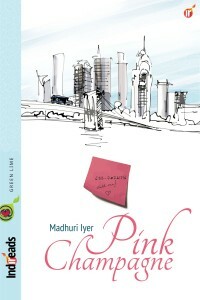 It is a breezy, frothy, sparkling romance, which is as enjoyable as a glass of pink champagne. A delicious chilling out read on a warm summer day. Madhuri Iyer has rendered Tanya and Arjun, her protagonists, with a skillful pen. So, though you know the inevitability of the love story that is going to turn their worlds upside down, it is still a pleasure to accompany them on their journey. 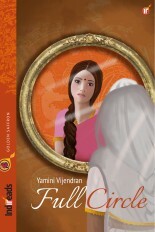 I particularly enjoyed the frieze of side characters Iyer has created, especially Karsh and Zara.